You may think that thousands of people are flocking online daily to seek out their rightful place among Internet marketing giants who have created a virtual empire of passive profits. But while they may be looking into it, many prospective Internet marketers are too intimidated to actually do anything to stake their claim. The primary reason? They don’t know how to produce a product with an unusual or unique slant. 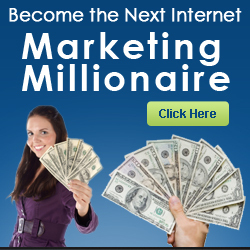 But in order to do this, the Internet marketer has to come onto the marketplace with insurmountable confidence so that his or her target audience will believe the message that’s being sold. A little guy may be new to selling a product, but that doesn’t mean he or she hasn’t worked online for months or years to learn the ropes. If you were able to come online and learn Internet marketing well enough that it allowed you to succeed in a short amount of time, then that makes you a guru in your own right. Many people are, in fact, turned off by the word “guru” and get bored of reading about someone’s expertise. Fresh is a good thing in the world of Internet marketing, so before you throw in the towel and call it quits, make sure you at least give your dreams a shot at success and see if the public is willing to invest in your knowledge. Remember that enthusiasm boils over, even on a static web page. So if you believe in your product, then it doesn’t matter what niche you’re targeting for your Internet marketing efforts – your audience will soak up your attitude and carry the torch for you into the realm of profits and guru status yourself!